We’ve said it once, and we’ll say it again: Immigrants make this country amazing! They’re the reason for the season — the reason we can say the U.S. has so much flavor, diversity, and strength. I’m not just saying this because I’m the child of immigrants (well okay, maybe I am because I know, firsthand, it’s true), but also because it’s Immigrant Heritage Month! Although we should celebrate our cultures everyday, we have a whole month dedicated to doing just that. 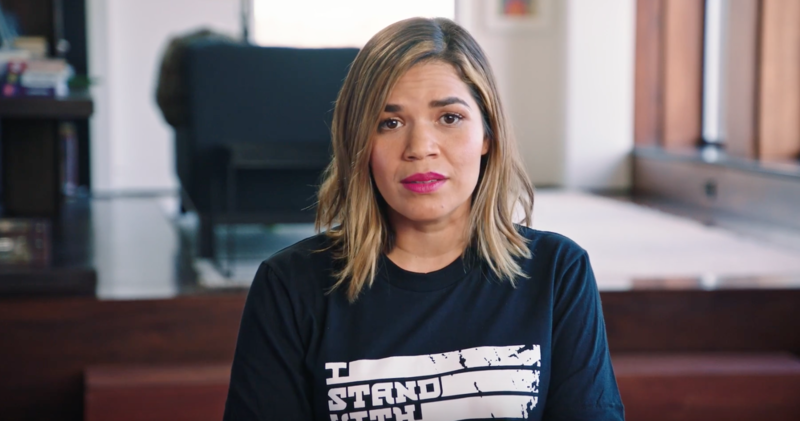 To kick off Immigrant Heritage Month, some of our favorite celebrities have come together for a video called #IStandWithImmigrants. The video launches the #IAmAnImmigrant campaign, which encourages viewers to discover and explore their own heritage and history. "#IAmAnImmigrant honors each of our families’ sacrifices, struggles and successes — America’s strength is reflected in our diversity built over generations. Join artists, entertainers, elected officials, organizations and your friends in celebrating the diverse heritage of our nation’s social fabric. Stand with immigrants, and join us on the road and online at IAmAnImmigrant.com to celebrate the monumental contributions that immigrants have made — and continue to make every day." We stand with immigrants, and we can’t wait to celebrate the rest of Immigrant Heritage Month!